1959 Gift Basket. 60th Birthday of Anniversary Gift Basket. 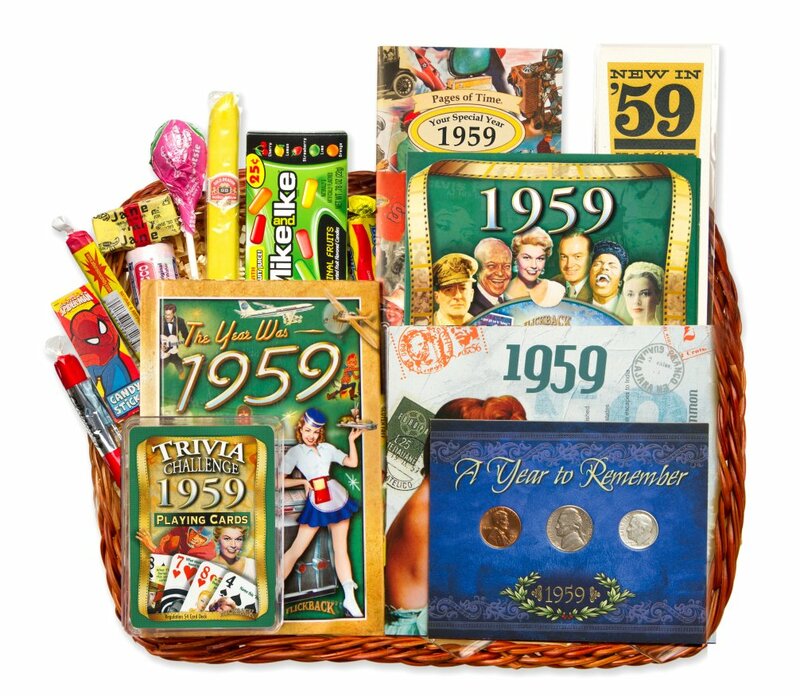 Celebrate your 60th with this gift basket full of products honoring that year. This basket contains a bag of candy from that era, a greeting card from that year, a miniature sized 1959 book of events, a DVD of events from that year, and a 1959 CD of the top 20 hits. Play your most favorite card game with the deck of year cards that has nostalgic trivia questions on it. We also include the nickel, dime and penny from the year! Use the 1959 bookmark to mark your spot in your book. 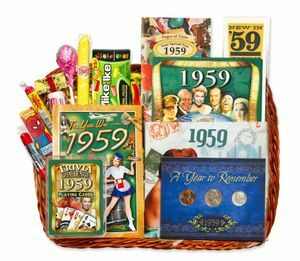 All these goodies make a unique birthday gift or 60th anniversary gift. You can personalize the card envelope with a 50 character message for an additional $5.00 by entering the message on this page. See also our other 60th birthday gifts.